Full Vehicle Wraps will make any vehicle a moving billboard. 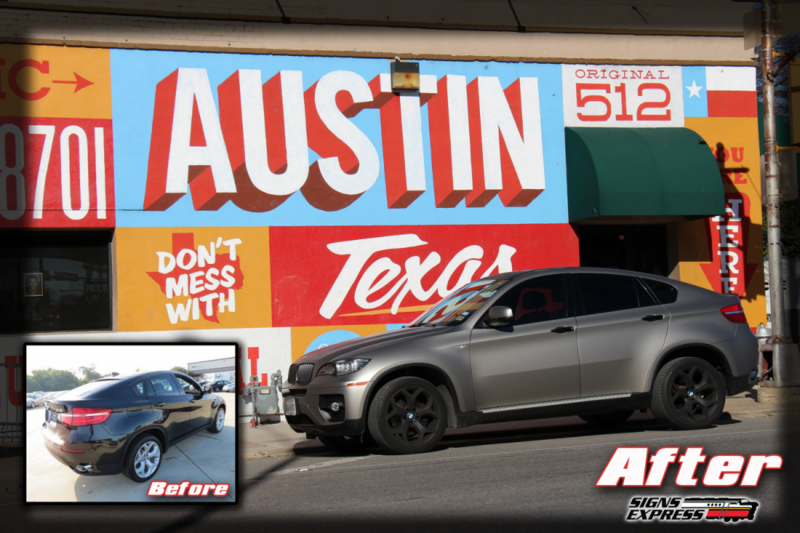 The typical billboard ad can cost you up to $3,000 a month, where a full vehicle wrap can range from $3,000 to $4,000 and last many years. Wraps also advertise for you everywhere you go. 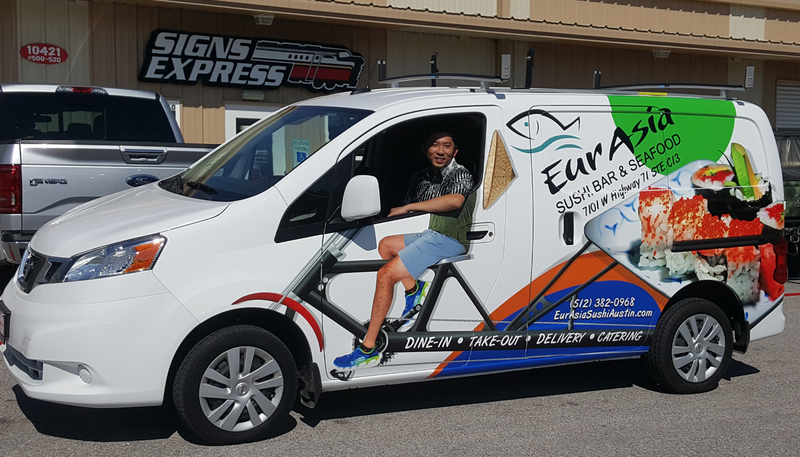 Whether you have your own idea or need help coming up with one, Signs Express can help you design your vehicle wrap from scratch. Using perforated window vinyl on the windows will allow the driver to still see out while everyone else only notices the eye-catching graphics. If the full wrap isn’t in the budget a great alternative is the half wrap! Paint wraps are a great option for anyone who wants their car to stand out from the crowd. Signs Express installers are experts in high end custom paint wraps. From matte, chrome, metallized vinyl, and textured carbon fiber films we can find a solution for your project that will turn heads anywhere you go. Trailers are essentially moving billboards. Take advantage of this incredible marketing opportunity to get your company noticed. 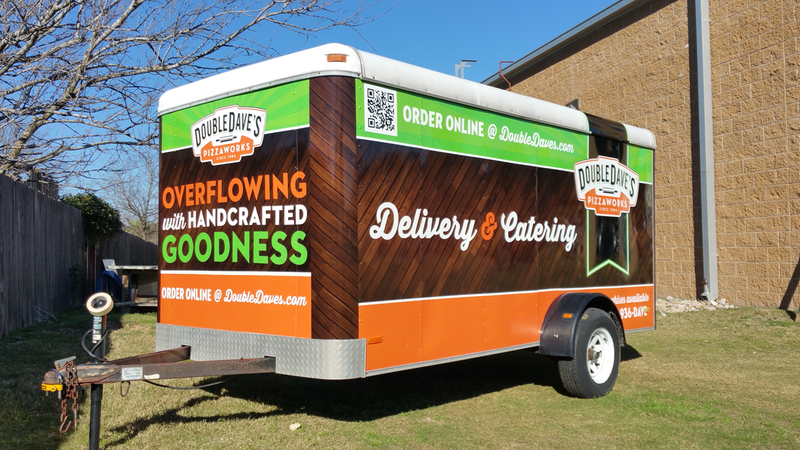 The creative designers at Signs Express can truly make your trailer stand out from the crowd. The partial wrap can be one of the most cost effective routes to take in mobile advertising. Utilizing full color wrap with cut vinyl graphics, Signs Express can help you bring your idea to life. Give your boat a fresh look with an attention grabbing wrap designed by Signs Express! When it’s time to sell your vehicle, Signs Express also offers removal. The 3M 180 V3 Vinyl that we use has a removable adhesive, allowing us to remove the vinyl leaving minimal residue. We recommend removal in the 3 to 5 year mark depending on how much sun your vehicle gets. Vehicle wraps are meant to be applied to good paint jobs and in most cases will not damage factory paint jobs. Paint in poor condition may peel when vinyl is removed. If you feel your paint job is not up to the task, bring it and have us take a look.